The area around Bhubaneswar constituted the famed kingdom of Kalinga, which was conquered after a bloody battle by Ashoka, the great Mauryan emperor. Appalled at the carnage, Ashoka renounced violence and embraced Buddhism. Around the 1st century BC, under the rule of Kharavela, Orissa regained its lost glory and Bhubaneswar again became the centre of activities. 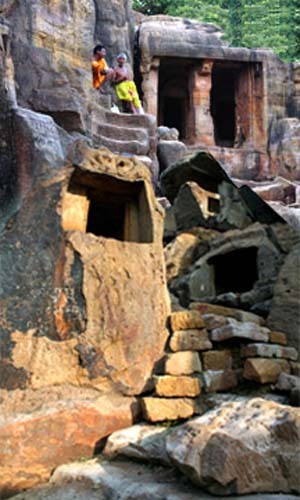 During this period, monastery caves were constructed of which Khandagiri and Udaygiri are the most important. By the 7th century, Hinduism supplemented Jainism, and Ganga and Kesari kingdoms did a lot for the development of Orissan culture. Most of the kings who ruled Orissa constructed beautiful temples. For a better part of its history, Bhubaneswar remained under the influence of Afghans, Marathas, and the British (till 1947).